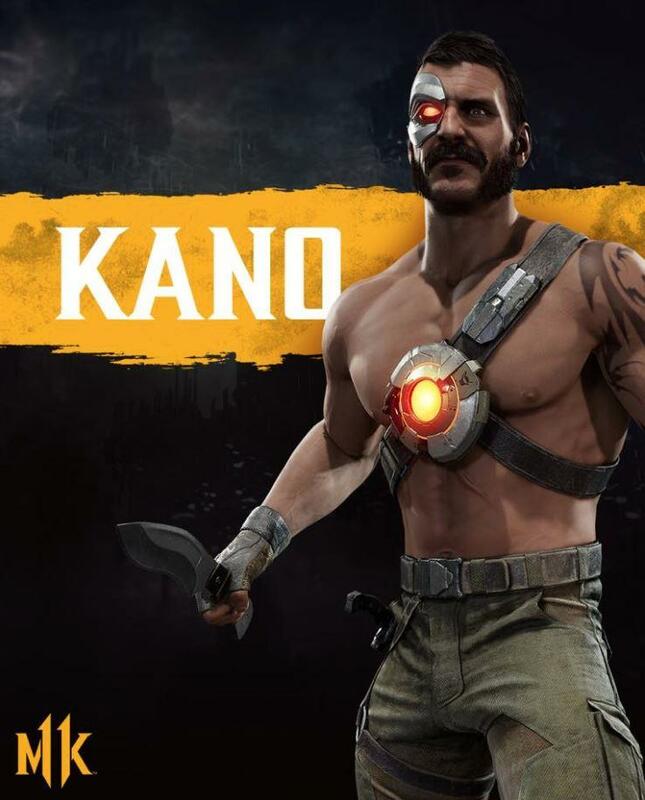 WB and NetherRealm Studios held a special event earlier today in Brazil and at the event they confirmed that Kano, one of the original seven from Mortal Kombat will be returning in Mortal Kombat 11. No other details were released but if I had to guess, I would say we will learn more about him during the first Kombat Kast this coming Tuesday. In terms of his gear, my guesses would that his cybernetic eye, his knives and his cybernetic chest will probably be the parts we can customize. Also am I the only one who thinks he looks like the wrestler Austin Aries?